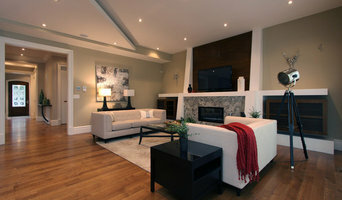 We are a premier Home Staging and Redesign company located in Toronto, ON. We proudly serve the GTA. Our aim at Decor8 Home Staging and Redesign is to have our work stand out in the competitive Design, Home Staging and Real Estate market. We do this best by combining our knowledge and experience in design, with our experience in the Real Estate market. We are able to provide professional space planning, catered to the individual requirements for each project we take on. Our passion for Home Staging and Interior ReDesign never wanes and we always keep our finger on the pulse of the newest trends and designs so we can offer the latest design ideas to our clients. We turn average homes, into extraordinary spaces with our attention to detail. Our most important goal is to help you get the best return on your investment. PLEASE CONTACT US AT 647-869-3545 to book a CONSULTATION that will get you started on your project. "We believe that the initial investment spent on staging is always more desirable to future listing price reductions." *Fluffing: Minimum 1 hour. Fee varies upon work required. Recommended for all listings, to add a fresh and “de-personalized” look before listing! *Full Staging: Minimum 2 hours. Fee varies upon work required. Recommended for homes in need of rental furniture, dated homes, dated furnishings or vacant properties. Formerly Toronto's No. 1 Home Staging Company, we have moved with the market and have recently relocated in the Burlington Hamilton area. We can help you sell smarter, faster and for more money. We can highlight the highlights of your home and detract from the flaws. Full Service Interior decorating and home staging company serving Toronto and the GTA area. 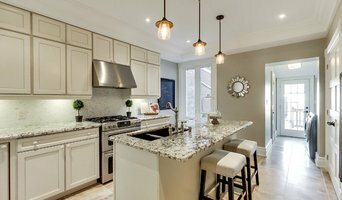 The ability to exceed customer expectations and professionally execute on projects by providing staging/decorating solutions that balance needs, achieve objectives and facilitate a emotional connection for home owners. JSZ Designs is an interior/exterior design team passionate about transforming your space into the next stage of your life. Be it staging to sell, styling to stay, decoration for your growing family, downsizing for your family growing up and out, re-designing your workplace, party set-ups, curb appeal and backyard bliss--we are here to create a balanced, stylish space you will be proud of to pass on or to enjoy yourself for the future. No job too small. Make a lasting first impression and sell your house quickly at or above asking price. Allow a certified professional to transform your space in just two days! Lux Furniture Rentals offers a wide selection of contemporary and transitional furniture and accessories to meet all our customers needs and budgets. Our inventory was selected based on the needs and wants of today’s home stagers. We offer many products that work well with the “main stage” as well a stunning line of furniture and accessories for the “luxury stage” to suit all your home staging needs. 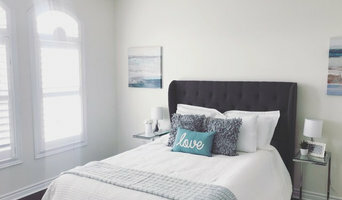 At Lux Furniture Rentals, our goal is not only to offer beautiful and unique furniture and accessory rentals, but we are also here to help grow your home staging business through educational seminars and networking events held in the Lux Studio. 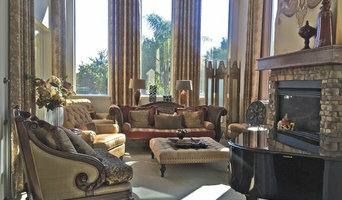 Please visit us online at www.luxfurniturerentals.com or come visit our 12,000sq.ft. We'd love to meet you.